*Sandcastle Stamper* : TPB: Will you BEE mine? TPB: Will you BEE mine? using the new The Gratest stamp set! It's a brand new set filled with punny sayings and fun images! The first card is using the die cut panels as a play on a hive! These little friends are buzzing around, enjoying the birthday buzz! The 'mishap' and magic of the 2nd card was beckoning me on the desk! as well as many other stamp/die sets. This set sure is BEE-u-tiful! Lots of potentional and lots of ideas for this fun set. for one stop shopping and samples at a glance! Kelly, these two cards are BEE-utiful! Love the bright bold colors and fun designs! Such fun cards Kelly! Love the bold design! Sweet, beetiful and fun cards! So very cute Kelly..love the little bees and your fabulous card design, the yellow and black are so bold and fun..
Those little smiles on their faces makes you wonder if they were beehaving themselves. These are such cute little honey makers. I like both of these creations, both circles and rectangles work for me. Nicely done. Such a happy looking little bee and two fabulous cards. 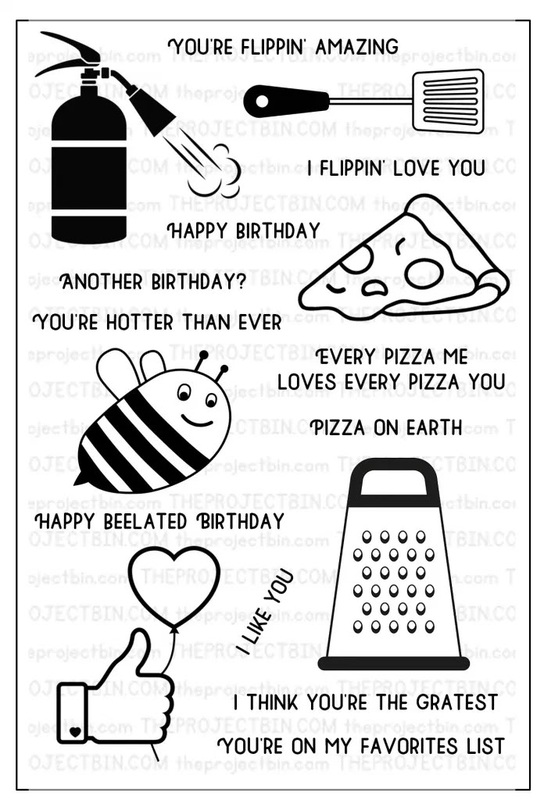 Love these fun bees for your fabulous belated birthday card! I have a card that is so belated that I am embarrassed to send it! Can't spot the difference, but I do love these punny cards Kelly - love your use of black and yellow enamel dots! I have never though that black and yellow could be so cute!!! :D Amazing both, my friend!! I only find the shape of the windows difference and the enamel dots colours! Both are super cute but I'm having trouble spotting the difference! Maybe the sentiment? How fun is this set of cards! I am loving the fun dies and great sentiments! This is a cute pair of cards! Hey, good lookin' ... whatcha got cookin' ?! RSG: Start Spreading the News! Let a stencil be your guide! You are all so very PURR-fect! TPB: You're on my favorites list! The Library Card: Book 3! Spot the Difference ~ My Favorites! 3M: Will you be my Valentine? The Library Card: Book 2! One Plus Twelve ~ Foxy's February Adventures!